Re: Smelly, Itchy and Painful…What is it? Hey everyone… Welcome a Thursday edition of my newsletter, and ALMOST the end of the Olympics. You can’t help but watch… and get surprised by those who were supposed to win… and don’t, then those who were written off as NO CHANCE to win anything, then pull through with a medal. I do like the underdog…. It’s a fantastic bargain that will rapidly get you UP to speed and using at home HOLISTIC health care and treatment for your dog or cat. But CAN I really use it? Great question – and YES I believe that anyone can utilize my Simple Step by Step program to begin to Naturally heal their own pet AT HOME. 1. I did a brief On the beach exam..
Purulent, oozing skin lesion below his right ear. Hot Spot – Acute Moist Dermatitis. The skin may have been scratched, he was wetter than normal being in the water all weekend, then bacteria grew turning the area into a Hot Spot. This is often secondary to an Allergy – Jack was on a poor quality food (Alpo)..I also advised getting him on a Premium quality one such as Origen, and supplementing with Ground Flax. Well you can see my EXACT steps in my Course – but this is what we did. – A pain releiver to make him easier to work with. I gave him 650mg of Aspirin from my First Aid Kit. Clip and Clean. I clipped the area as best I could with blunt scissors. The MOST important thing is to do this and get the skin to dry out and heal. **Wonder remedy** This worked great and you all will have this at home. I diluted an Aspirin in a Cup of Strong black tea, and we wiped this on the area with a cloth. I had his guardian do this every 3 hours – and keep him out of the water as much as possible. The LONG term goal was to NOT have these come back. In my Course you can see exactly what I advise. Closely watching that ANY itching, does not develop into a hot spot. He responded fabulously. By the time we left on Sunday, he was not scratching, and the Hot Spot had almost healed. That Visit alone could have EASILY cost more than $500 if a Vet had chosen to give anesthesia to treat the Hot Spot. And this may have happened if the Hot Spot was left untreated. P.S. NO, you aren’t likely to find me camping with you to help you treat any illness or emergency that may happen with your dog or cat. BUT the good news is that you can be able to do EXACTLY what I did with Jack by following my easy STEP by STEP instructions in my Course. 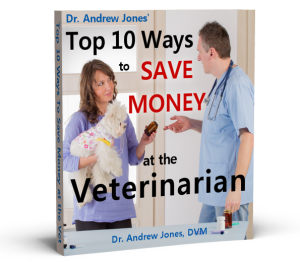 You will SAVE more in Veterinary Fees to more than EASILY cover the cost of my course. PLUS with my Summer Special you get ALL of these Bonuses. They’re YOURS to keep – even if you decide you don’t want to keep the course.